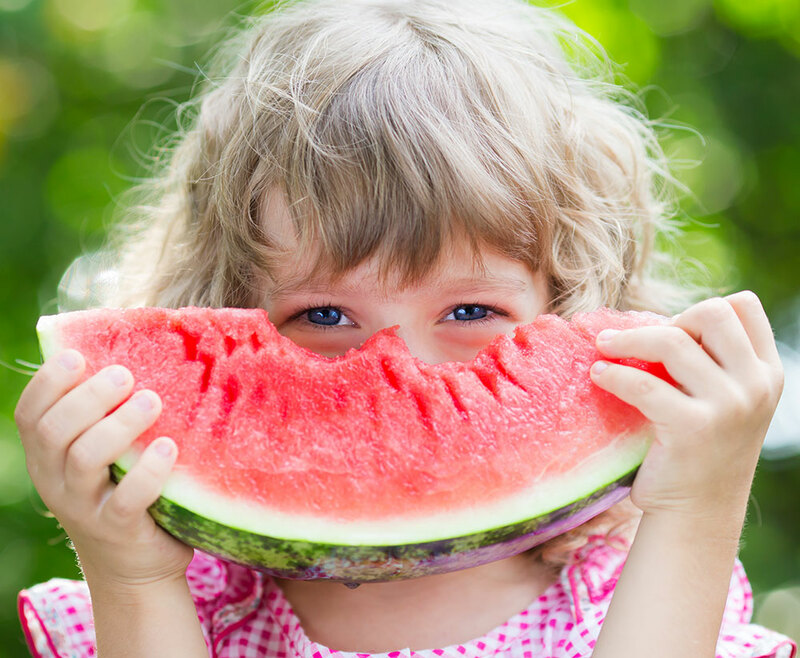 Did you know watermelon not only tastes good but is good for you? Watermelon is great for your heart as it improves blood flow and lowers blood pressure. The regular consumption of watermelon can also reduce body fat as it has a high concentration of citrulline which is an amino acid that has the ability to block our fat cells from creating more fat. Watermelons are a great source of electrolytes. Best of all, watermelons are great for your eyesight as it is an excellent source of beta-carotene, which converts to Vitamin A in your body. The fruit also contains vitamin C, lutein and zeaxanthin which are all essential for maintaining good eye health. Don’t let summer pass you by without lots of delicious watermelon!